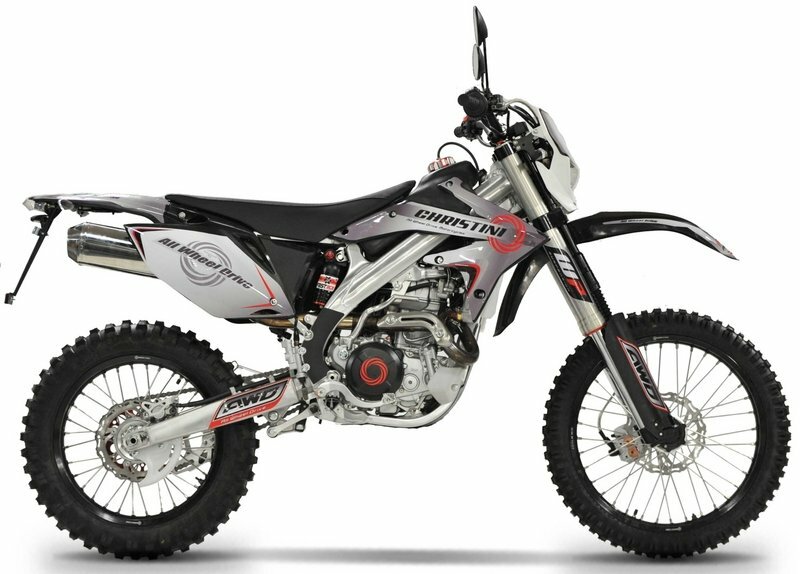 Add the Street Legal package to Christini’s AWD 450 Military Edition bike and you have the AWD 450 Explorer. Based in Philadelphia, Christini has been pursuing AWD for two wheels since 1995. What started as AWD mountain bikes turned to AWD motorcycles in 2002. 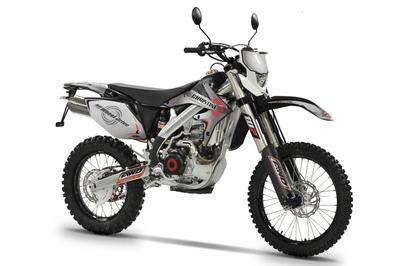 It was in 2008 when a Christini-upgraded KTM bike took second place in the inaugural Extreme Enduro Race that AWD was established as competitively viable technology. Considering that folks have raced Christini AWD bikes in every EnduroCross event since 2006 speaks to their capability as competition rides. 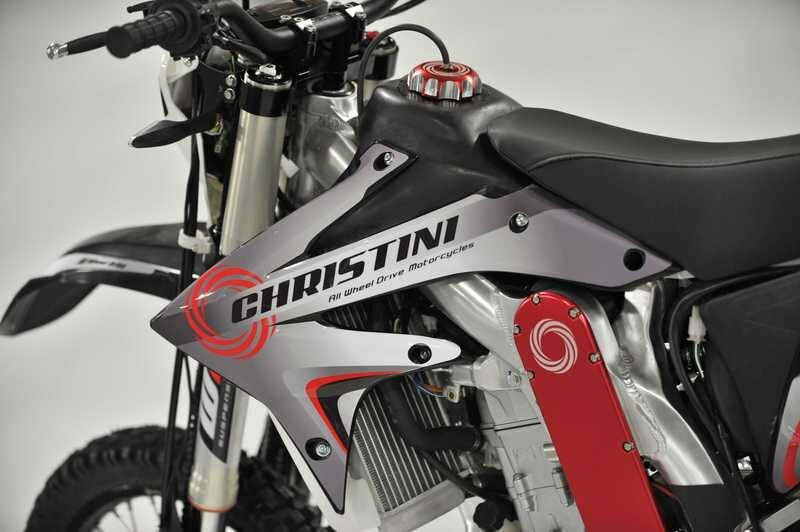 In fact, Christini bikes are race-tested and proved reliable in World Enduro, GNCC, Endurocross, Red Bull Last Man Standing, and Hare scrambles. Continue reading for my review of the Christini AWD 450 Explorer. Despite what you might be thinking -- that the bike would be hard to handle and would use more horsepower -- the opposite is true. 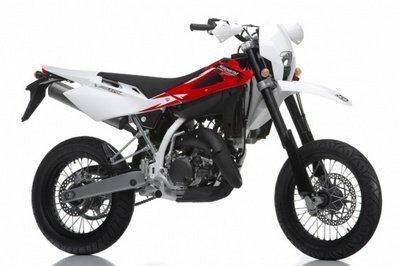 Dualsport, yes; but a bike that comes with knobby tires just screams off-road. 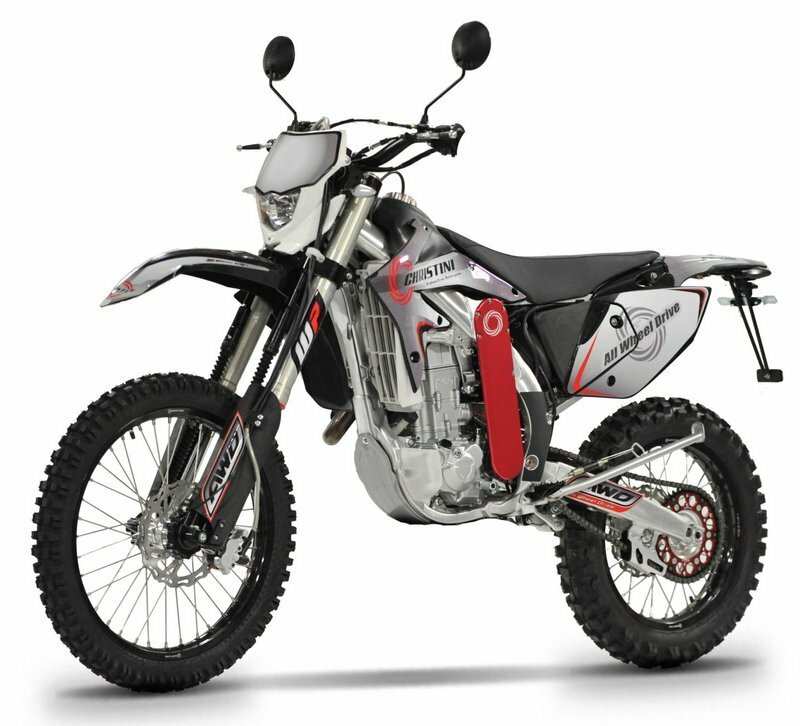 The 450 Explorer comes with hand guards, a skid plate, an extended-range fuel tank, and for your low-speed maneuvering, a cooling fan for those times when going fast just isn’t an option. Despite what you might be thinking — that the bike would be hard to handle and would use more horsepower — the opposite is true. With the AWD system, you don’t have wheel spin, which uses less gas and energy, and your back tire doesn’t wear out as fast. If the back wheel is turning, it is doing something productive. If it isn’t doing something productive, the front wheel engages and pulls you forward until the rear wheel has traction again. That’s the difference between AWH and 2WD — with AWD, the front tire freewheels until the back tire doesn’t have traction. That makes for a more natural ride. With 2WD, the front wheel is always driven, which can lead to some squirrelly behavior when you don’t need the front tire digging. The frame sets the tone for the whole project by keeping things light but strong with its aluminum, twin-spar construction. Given that the bike weighs in at only 278 pounds, I’d say the efforts to keep weight down continued across the board. 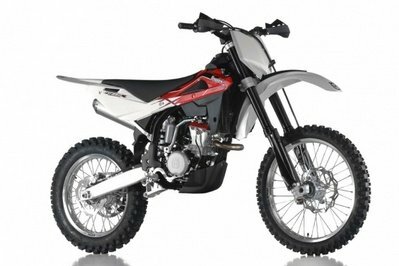 It is a dirt bike though, and the designers built the frame to take the beating associated with off-road activity, including racing. 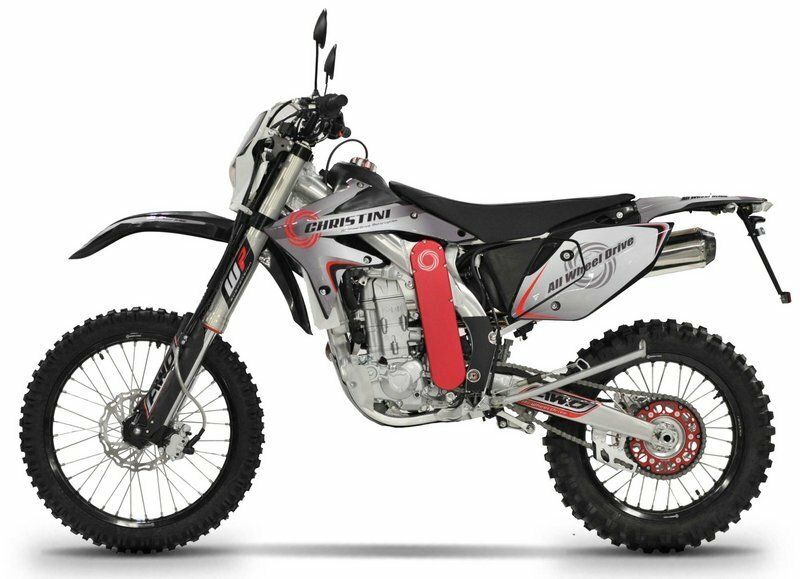 Suspension components on both ends of the bike show a racing bent as well, with WP 4CS, 48 mm inverted front forks and a Fast Ace adjustable rear monoshock to handle rough, off-road terrain. You can tune the front forks for high and low-speed compression, rebound and damping until you get exactly the ride you want. The factory went with an 18-inch tire on the rear with a 21-inch hoop on the front. While big front wheels are rather prevalent with certain off-road bikes and activities, I’m sure that the front-wheel drive benefits from having a great big knobby clawing away up there. A single, 240 mm brake disc on each wheel works with the dual-pot calipers to control your speed once you crest the hill, or whatever. The wheel size and suspension components leave the bike with a ground clearance of 13 inches, plenty for its designed purpose. Christini’s AWD system is definitely the most intriguing aspects of this ride, so let’s dive right in. A series of chains, shafts and gears connects the front wheel to the same output sprocket that powers the rear wheel, but at a 70-percent ratio. The front wheel is tied in through the system through an overrun clutch that allows the front hoop to freewheel when it is not needed. Let the rear tire slip a little and that’s when the magic starts. The front wheel engages with the drive system and starts to pull as soon as the rear loses traction, which has the effect of pulling the rear wheel out of its rut, and helping to prevent front-end washout. A 450 cc, one-lung, water-cooled, four-stroke engine provides the power for this amazing drive system, to the tune of 43.5 horsepower at 7,500 rpm with 31.3 pound-feet of torque at 6,500 rpm. You have to wind it up a bit to get the power out of it, but that is to be expected with a single-cylinder engine. Electronic fuel injection controls the fuel delivery, and a DC/AC capacitor discharge (CDI) ignition system fires the charges. Built to last, the exhaust system uses stainless steel and it contains a dual-catalyst system to help meet emissions standards. Like many off-road bikes, this ride has an electric starter and a kickstarter for backup, a feature I really like. Redundancy is safety. MSRP on the AWD 450 Explorer is $9,595. 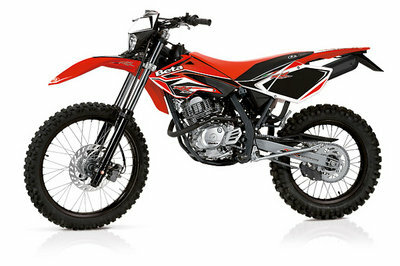 Christini covers the 450 engine with a six-month limited warranty and the AWD system with a one-year warranty. Take note, however that using your 450 Explorer for racing or competition voids the warranty. Christini also offers frame sets for select KTM and Honda bikes so you can retrofit the AWD system to your existing bike. This is a tough one to find competitors. Lawson makes AWD, but more as conversions rather than its own bikes. 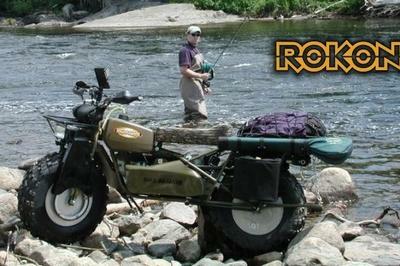 Rokon makes 2WD drive motorcycles, but on a more pragmatic level. 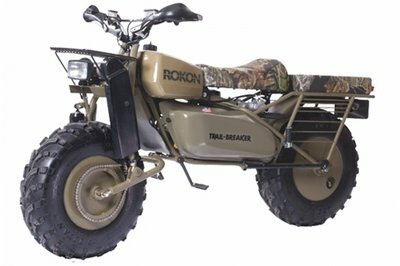 Aside from the fact that AWD isn’t the same thing as 2WD, Rokon’s Trail-Breaker and Scout are off-road transportation rather than enduro. When you can get accessories such as a gun rack, tow bar, ammo boxes, log-skidder, irrigation pump or snow chains, you know you’re in a different category. 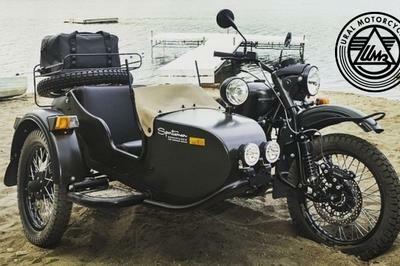 I should mention Ural when talking about 2WD motorcycles. Again, not the same thing as AWD, but at least the Gear-Up is closer to an enduro ride than a Rokon. Okay, you can get ammo boxes and a machine gun mount as accessories on the Gear-Up, but it’s still closer to enduro riding — at least it is if you do it right. "You know, this only makes sense. Folks serious about off-roading four-wheeled vehicles wouldn’t think about doing so without AWD or 4WD. When talking about two wheels, I think I prefer the AWD system. You have better handling than a 2WD bike. When you talk about three wheels, I still like the Urals. I’m not as invested in enduro-type riding as I am eager to have that sidecar." All images featured on this website are copyrighted to their respective rightful owners. No infringement is intended.